So ... Will Hollywood Finally Learn This Lesson, or Nah? Jordan Peele, winner of the Oscar for Best Original Screenplay for Get Out, poses in the press room at the Oscars on March 4, 2018, in Hollywood, Calif.
On a budget of less than $5 million, Get Out made $255 million at the U.S. box office last year. Girls Trip, directed by Malcolm D. Lee, made more than $140 million in 2017. Black Panther is on pace to do $1 billion worth of business worldwide, reaching $900 million over this past weekend. Movie-theater owners know what’s up: Films that are more diverse put up numbers. But does Hollywood know that? In a show of amazing discipline, no one of note (so far) has written a story lately expressing shock that black movies are having a moment. Because, technically, this “moment” has been a known thing since the ’90s (Wesley Snipes’ vehicle Blade made $415 million in 1998). Or at least since Tyler Perry took his chitlin circuit plays and made Madea mainstream with 2005’s Diary of a Mad Black Woman. If a movie is good, or at least steeped in our cultures and traditions, someone will happily plunk down more than $10 to see the flick. And studies show that films with diverse casts make more money. But you can know all of this, make all the money, get all the accolades and still have a career that never quite hits the stratosphere after an Academy Award, thanks to good ol’ prejudice. Halle Berry is a bona fide star with an Oscar for her role in Monster’s Ball, and the most interesting thing I’ve seen her in of late is a fitness-themed, quasi “thirst trap” photo on Instagram. Mo’Nique has been pretty vocal about her post-Oscar life. And while Taraji P. Henson was happy to be nominated for an Oscar in 2009, she struggled to get work until Empire came along. I know how Hollywood works for white people, particularly white men. You get a real hit that makes real money and win some awards, and you get a blank check to do, create, write, produce or direct almost anything you want almost in perpetuity, even when you struggle to make another hit. For example, I don’t expect director Ryan Coogler to win an Academy Award for Black Panther next year, but—according to “You just made almost a billion dollars” rules—I do expect someone to whip out a blank check and tell him to go create. That’s how Hollywood is supposed to work. 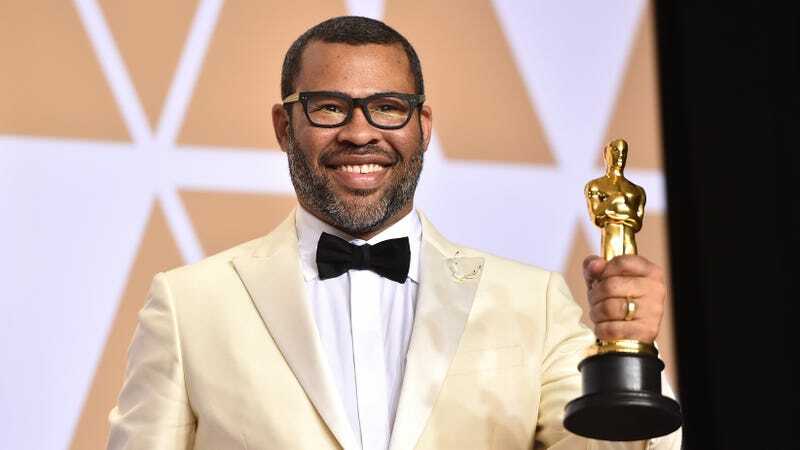 Just as I expect all of Jordan Peele’s film dreams to come true post-Get Out’s success and his Oscar win Sunday night. Just as I expect Ava DuVernay to have a long and storied career post the Oscar-nominated Selma (and her new Disney film, A Wrinkle in Time). What I don’t want to see is some Langston Hughes, “What happens to a dream deferred?” mess where everyone’s potential dries up like a raisin in the sun. It’s not easy to be successful in film and television. Take it from someone with a failed TV show (or two) under her belt. But in a world where white men can fail upward until they succeed, black men and women who create, and are successful at creating, deserve the same opportunities, funding and support that, say, Zack Snyder or Michael Bay receive, despite the fact that they ruin most things they touch. In fact, successful black creators deserve even more, since they have a proven record of success. But until the best of us are treated as well by Hollywood as the worst of them, Hollywood won’t have learned this lesson: Diversity sells. Black movies and their success aren’t flukes. And talent is talent, and you should reward it. Nurture it. Take risks for it. Especially when that talent just won an Oscar or raked in a billion dollars.